Enjoy an evening of socializing, partaking in the artistic-side of ourselves, food, beverage and lots of laughter! 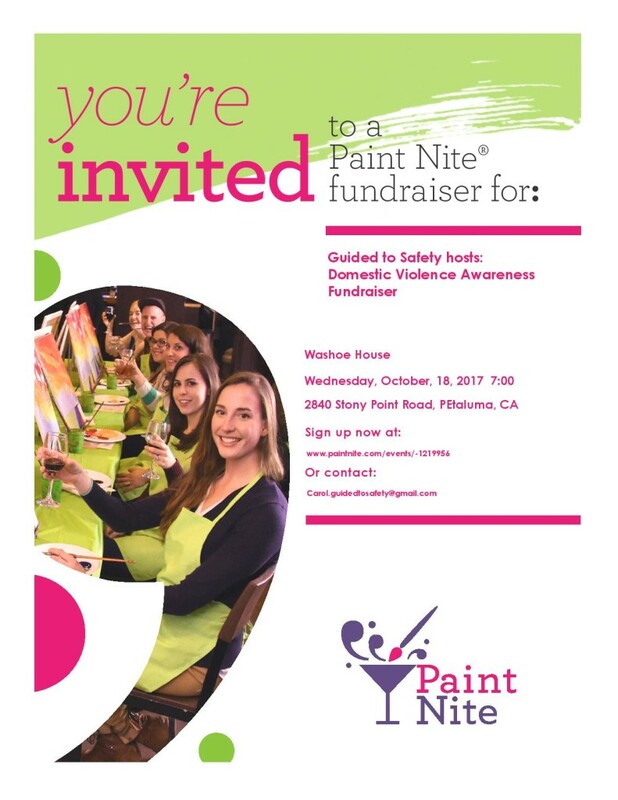 At the same time, you’ll be helping Guided To Safety raise funds which will be used to collaborate with the Human Trafficking Task Force to promote Human Trafficking Awareness (January), to work with teens from throughout the county to promote Teen Dating Violence Awareness (February), as well as to collaborate with the Intimate Partner Violence adhoc of the Sonoma County Commission on the Status of Women. Click Here for tickets!